Amazon updated their Kindle app for Android today, bringing about two changes that add a significant amount of functionality to the app. Perhaps the most notable change is the addition of support for Kindle Format 8, Amazon's "next generation" file format which supports HTML5, CSS3, drop caps, fixed layouts, and scalable vector graphics. 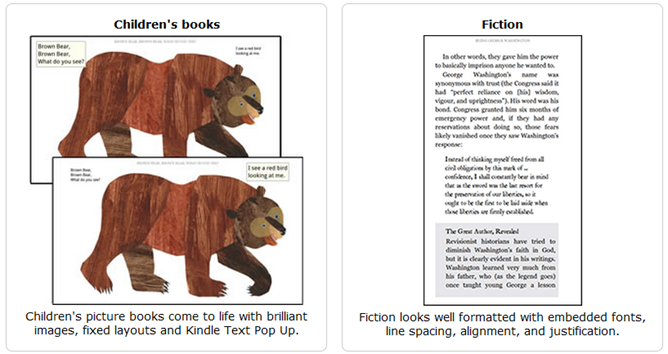 The format also features Panel Views and Kindle Text Popup, enabling "great fixed layout books including graphic novels, comics, and children's books." The other change brought by today's Kindle update is a change to the functionality of users' send-to-Kindle email addresses. With today's update, files and documents can be sent to Kindle for Android using your Send-to-Kindle email address, and will of course be synced to Amazon's Cloud for re-downloading on any supported device. Adding an extra touch of convenience, Kindle's Whispersync will sync highlights, notes, and pages read in your personal documents, keeping them consistent across platforms. Support for Kindle Format 8 and a larger assortment of illustrated children’s books, comic books, and graphic novels. Shop for over 1000 children’s titles such as Brown Bear and Curious George, and comics such as Batman and Superman. Plus, richer formatting in thousands of other Kindle titles. 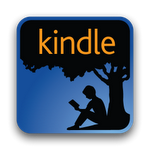 Email documents to your new Send-to-Kindle e-mail address and we deliver them to your device. Documents are archived in the Amazon Cloud and can be re-downloaded to supported Kindle devices and apps. If you haven't already, just click through the widget below and grab the update.